When dealing with financial loss, plenty of us will experience serious problems in the short and long run. While not always easy to avoid, if you employ a proactive approach and take steps to protect you and your loved ones, you can avoid problems. Here are the top eight ways to prevent financial loss. Insurance: You need to carry home, health and car insurance. If you rent, you need renter’s insurance. With adequate coverage, you will protect you and your family in case of a serious catastrophe. Otherwise, with one car accident or health scare, you can lose plenty of money and end up in serious financial turmoil. Home security system: Even if you carry insurance, one break in will cost you plenty of cash. Thieves will steal items you didn’t know about and your insurance company will not pay full value for your items. To save money and avoid the problem in the first place, install a home security system. It will save you thousands of dollars in insurance premiums over the years as insurance providers offer discounts to homeowners with a home security setup. Savings: With a six-month emergency fund, you can soften the blow of any tough situation such as a job loss or health scare. To determine how much you need, add your month-to-month living expenses up and multiply it by six. 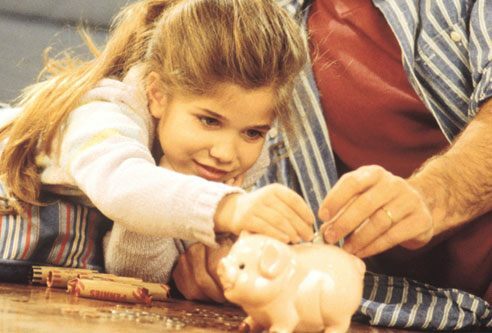 If you are married with children, consider keeping 12 months of available emergency funds in the bank. With sufficient money in your savings account, you won’t worry when a minor issue arises. Well-maintained car: One car accident can leave you in the hospital for months and in serious financial ruin. To avoid accidents, drive safely and maintain your vehicle. By taking your car in for routine inspections and fixes, you will help your cause and avoid sticky situations. Eat well: If you want to save money in the long run, you need to eat a healthy diet. Think about it, as you age, you will deal with a host of health issues when you eat a poor diet. To fix this, consume plenty of fresh fruits and vegetables. At the same time, consider vegetarian meals, as this is an easy way to eat well and protect your health. Review your policies: While it is wise to carry insurance, you need to re-read your policies. For example, if you live in San Diego, verify your policy covers your property in case of fires. Or, if you live in Miami, look at your policy and ensure it provides you financial relief in the event of a hurricane. Remember, if you don’t carry the right insurance, you are on catastrophe away from losing it all. Excellent lawyer with a proven track record: If you have a high net worth or run a company, invest in a qualified lawyer. With an attorney on your side, you can navigate the intimidating legal field. Otherwise, one lawsuit or a divorce can ruin you financially. Perfect credit: With excellent credit, you can borrow money without overpaying. It is often crucial to access credit to pay for bills that otherwise would go into default. To keep a high score, among other things ensure you pay your bills on time. If you follow these top eight ways to prevent financial loss, you can avoid problems plaguing plenty of consumers.